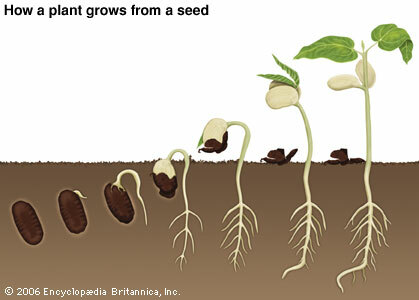 These are of course not every type of seed mentioned in the Bible, only some of the ones that I wanted to show you. We have gone through and reviewed some verses about natural seeds in Genesis and learned some applicable laws that apply to every type of seed. The first law was that a seed always produces after its own kind. The second law of seeds is that the seed is always within itself. Both of these concepts transfer to many other types of seeds revealed to us in the Bible and you should understand them. If you recall I showed that every future generation or descendant of a man, is said to be in the man. God shows us that whatever the father did, is what their descendants did. Joh 12:24 Verily, verily, I say unto you, Except a corn of wheat fall into the ground and die, it abideth alone: but if it die, it bringeth forth muchfruit. Here is another verse about the coming Messiah and Israel missed it. God is saying I will “raise up” a “PLANT” of character. This word for “Plant” in the Hebrew means something that is planted in a garden. Sure sounds like a seed to me, how about you? I just wanted to show you some O.T. examples of this coming seed so that you would not think that I just make this stuff up. It is really amazing what the Bible says when you can see it. What have we learned? We learned that God planted a seed and this was a lowly humble man called Jesus Christ. But, through this humble beginning we see the growth that has transpired over the course of 2000 years. The church of Jesus Christ is now greater in strength and numbers than at any time in the past 2000 years. I am a firm believer that Jesus is expecting a triumphant church, a great church that has made herself ready. God planted the original seed and it has grown over the course of time and developed further into this great prophesied tree that the birds of the air can now build nests within. Joh 1:1 In the beginning was the Seed, and the Seed was with God, and the Seed was God. Joh 1:14 And the Seed (Word) was made flesh, and dwelt among us, and we beheld his glory, the glory as of the only begotten of the Father, full of grace and truth. This is probably not a complete list, but it is all that I can come up with right now. If I locate other reference I will update this list. I will end this blog here and hope that you have learned some new things from the Bible. God Bless! If you would like to continue reading in this series, you can go to “Part 5“. Posted on July 29, 2010, in Bible Study, Seeds, Understanding and tagged Bible, Christianity, Church, Genesis, God, Holy Spirit, Interpretation, Jesus, Prophecy, Religion, Revelation, seeds, Symbolism, Truth, understanding. Bookmark the permalink. Leave a comment.